Happy Monday! Hopefully you've had a great start to your week. Today I'm meeting up with some out of town friends for breakfast and the Mommy and Me movie which is Iron Man. I might do a little sightseeing with them too, we'll see how the day pans out! 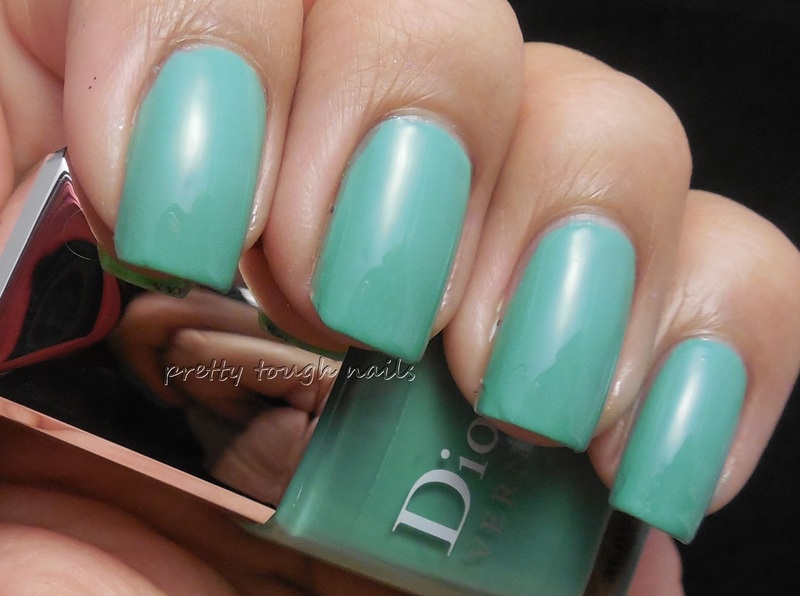 Who can resist two Dior polishes for the bargain price of $29? Not me. I had to pick up this duo when I saw how stunning the colors were. The polishes themselves do not have names, but rather go by number. Each bottle is 7ml which is fairly small, but considering that I've never finished a bottle of colored nail polish, doesn't really bother me. If anything, it makes the bottle more travel friendly. Samba 402 is a lovely vibrant jade cream that becomes opaque after two coats. Despite what I've read, application for me was a little streaky and the formula did not level well on its own. 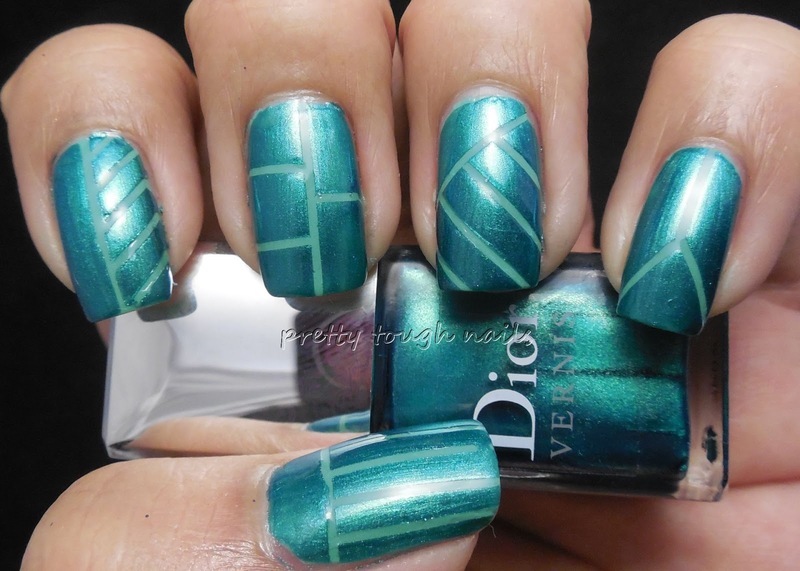 A layer of Poshe topcoat hides the imperfections well. 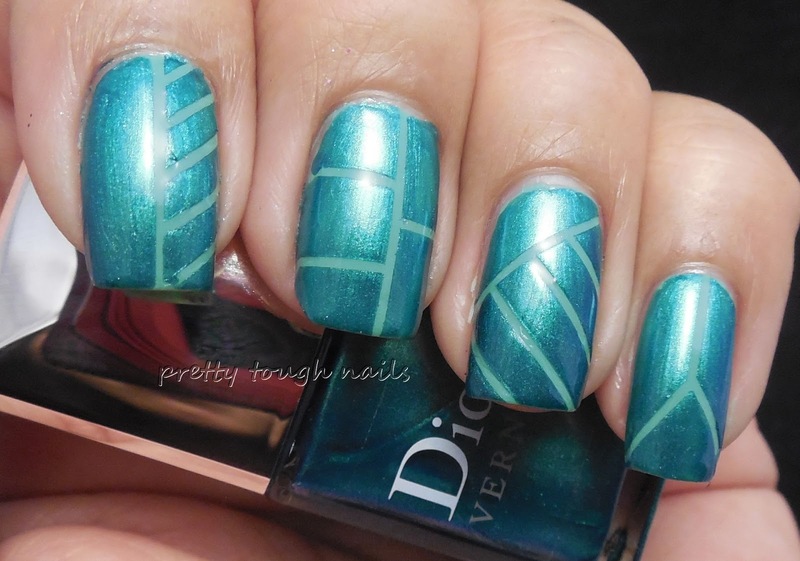 I used some striping tape before adding the second polish of the duo. It's my first time using it, hopefully it turned out ok! 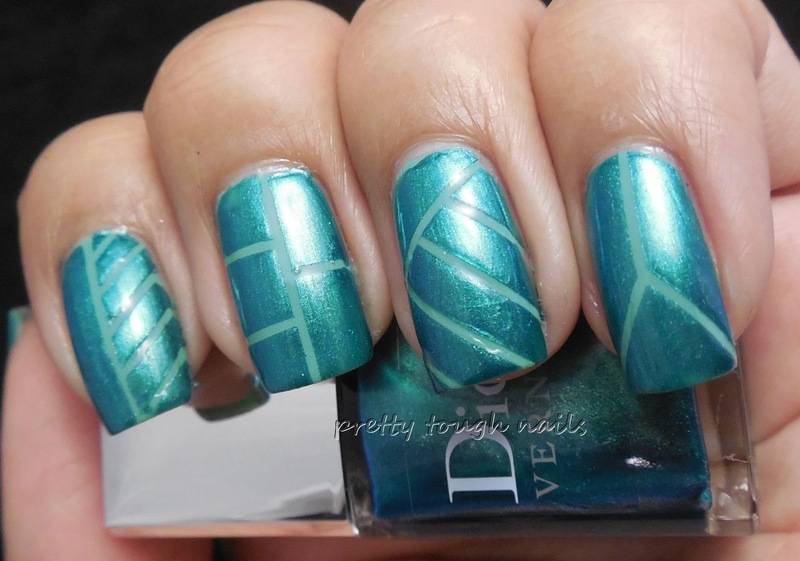 Samba 794 is a dark teal foil that has some duochrome to it, changing to a dark blue in some lights. Application of this was really smooth and not streaky from what I can tell, and I only needed one coat on top of 402 to get opacity. 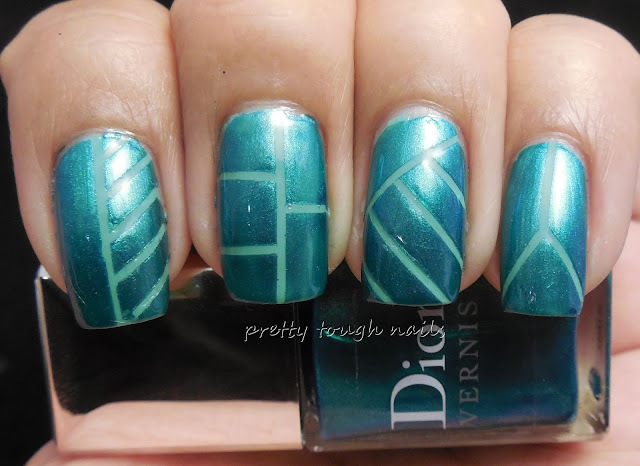 Once dry there was very minimal brush strokes, win! I really like both colors in this set and I think I'll definitely be able to get a lot of use out of them despite being tiny bottles. 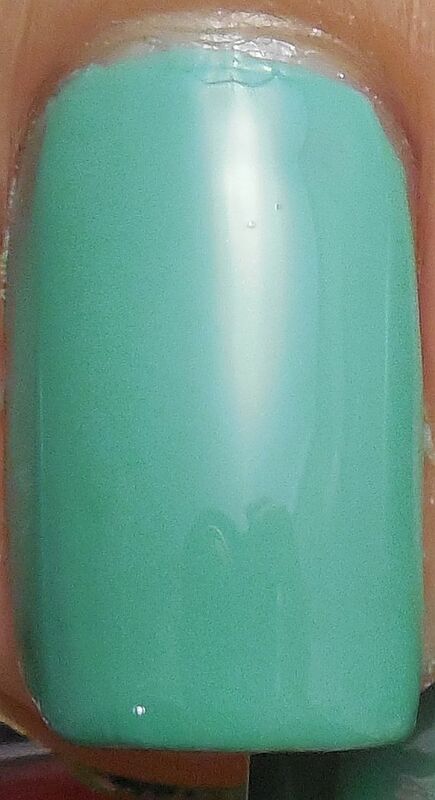 Samba 794 is a great color on its own and will be perfect for pedis in the summer. I'm sure that there will be dupes of these colors out soon, so you may want to wait for those if you want larger bottles for less money. Have you picked up any of the Birds Of Paradise, and what's your favorite color from this collection?